There are many challenges facing our world at present, but whatever form those challenges might take, our children remain our best hope for the future. All Saints Anglican School is a coeducational day school for students from pre-Prep to Year 12, located at Merrimac on the Gold Coast. 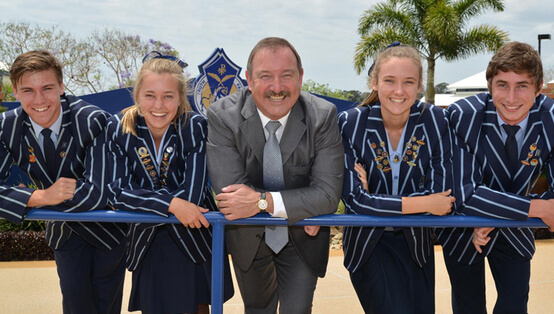 Our students have deservedly earned excellent academic results in recent years, with All Saints being named as one of the top-performing Gold Coast schools in the OP 1–15 range over the last five years and the joint top coeducational school in Queensland. We also love our music, drama, visual art and sport. At All Saints we love what we are called to do and we continue to be inspired by the wonderful children who pass through our gates each morning. If your child loves to learn and embrace new opportunities, then perhaps you should consider All Saints — a place where we are committed to inspiring the hearts and minds of all members of our school community. Visit www.asas.qld.edu.au or call (07) 5530 2855 for more information.